Some people believe hummingbirds are a sign of victory in battle and good fortune. 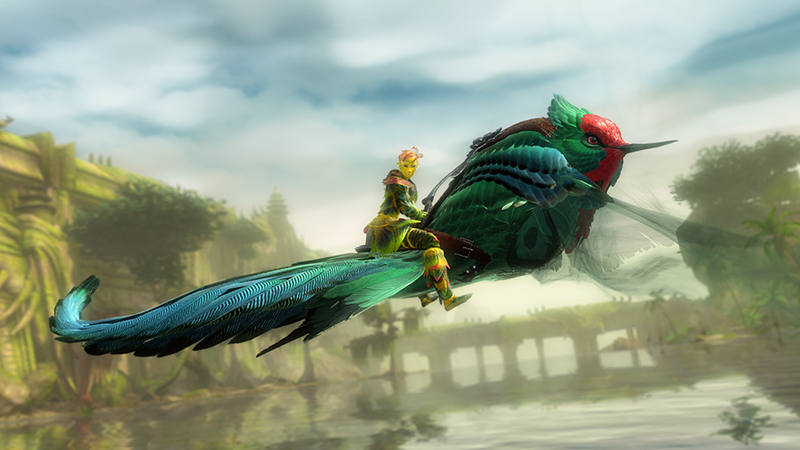 Purchase this beautiful hummingbird skin directly—or unlock Black Lion Chests for a chance for it to drop—and then dart across the water in a flash. You can use this skin on skimmer mounts across your whole account. Even when it feels like the darkest moments are upon you, there is always a light to guide you. Inside each chest, you’re guaranteed to find a Mini Blue Skimmer Pup, a redeemable Black Lion Statuette, and two common items. You also have a chance to discover something rarer in the fifth slot, including exclusive items, glyphs, and skins from the Keepsake Weapon Collection and Chaos Weapon Collection. 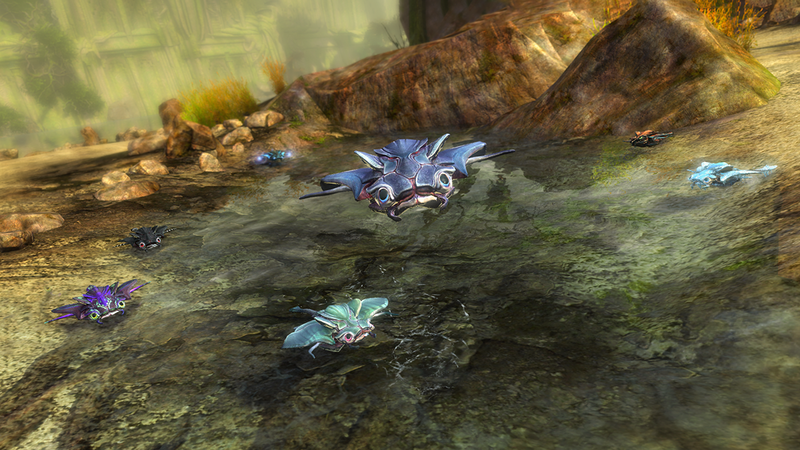 A group of rays is called a fever, but there’s no need to worry about having too many of these adorable skimmer pups—head over to the Mystic Forge and combine them with some Unidentified Dyes to obtain a collection of pups in assorted colors and styles. If you missed picking up the third episode of Living World Season 4 while it was live, visit the Gem Store in game to unlock “Long Live the Lich” for free! All players can also grab a free Experience Booster this week in the Gem Store (limit one per account). These items will be available starting April 9 until April 15. Available Now in the Gem Store! Log into Guild Wars 2 and press 'O' to access the Black Lion Trading Company for these great offers and more! Guild Wars 2 © 2011 ArenaNet, Inc. All rights reserved. NCsoft, the interlocking NC logo, ArenaNet, Arena.net, Guild Wars 2, and all associated logos and designs are trademarks or registered trademarks of NCsoft Corporation. All other trademarks are the property of their respective owners.